Qigong has two modalities: qigong exercises and qigong healing. This course teaches qigong techniques from both modalities to address the needs of the massage therapist. Specialized qigong exercises will be taught and practiced. These exercises are designed to help combat repetitive stress and fatigue, especially in the hands, wrists, forearms and lower back. Qigong healing has been likened to acupuncture without needles. Self-healing techniques will be taught. These techniques are designed to relieve pain and inflammation, and remove impediments to the body’s own healing processes. These are the same types of techniques martial artists and yogis use to improve performance, strength and stamina, and to prevent & heal injuries. 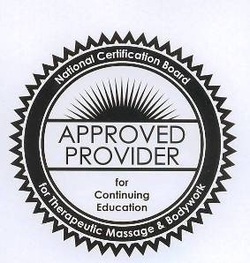 This course is tailored to techniques specifically for the physical needs of the massage therapist.